My partner and I recently purchased two 500g tubs of Rose-Hip Canine for my folks dog Badger! 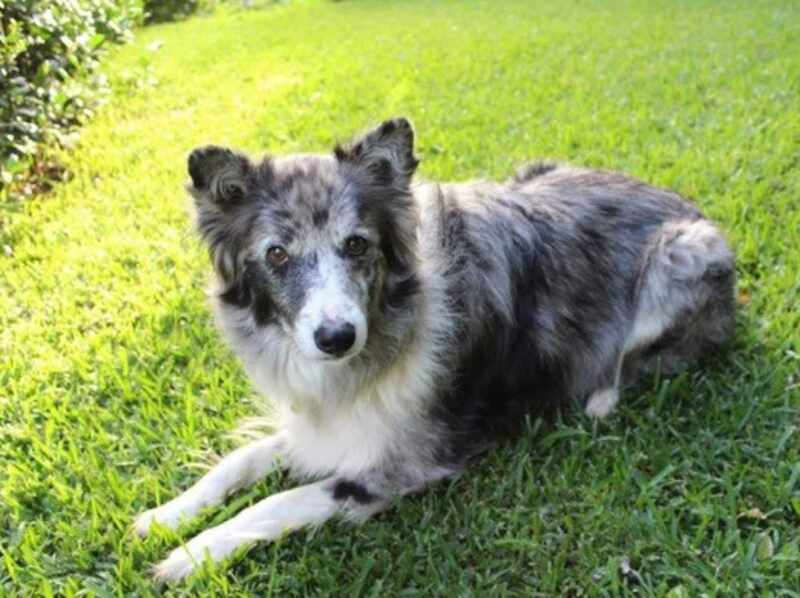 Badger is a 7 year old high energy Border Collie crossed with a German Koolie, he loves nothing more than chasing horses and playing at the beach. Unfortunately when he was 2 he had an accident, we believe he may have been hit by a car. He dislocated his hip and hurt his back! He spent some time at the Vet’s and we were warned that his injuries may cause problems for him as he got older. From the day of his accident he turned into a different dog! Growling at everyone became his new thing, and although he still loves running around like a crazy dog his body feels it afterwards. We have had to take him to the vet multiple times for full on pain medication, and its awful to think that this has been going on for years! We have had him on Mobicosa for the last couple of years, however we just didn’t think it was making enough difference for him.The older he gets the worse his pain. Recently we also started making his own low inflammation dog food, which we hoped would make some difference but again nothing drastic seemed to change despite trying it for some time! 2 weeks ago we bought Rose-Hip Canine! and WOW what a difference! My folks said that after 2 days he was already behaving differently, less growling more playing! They were sceptical that it could possibly work so fast but after 2 weeks things have only got better and its been the only thing thats changed in his diet. Our Badger can now happily accompany me on my morning run, then sprint laps around me and my sister while we’re horse riding/ working horses, go for a walk with my folks in the afternoon and still be ready to spring around the house in the evening with his deflated old basketball playing with my husband! He hardly growls anymore and no longer lies about the house looking depressed! We plan on continuing his diet on Rose-Hip Canine and are even considering switching our old horses from Mobicosa to Rose-Hip Equine!! 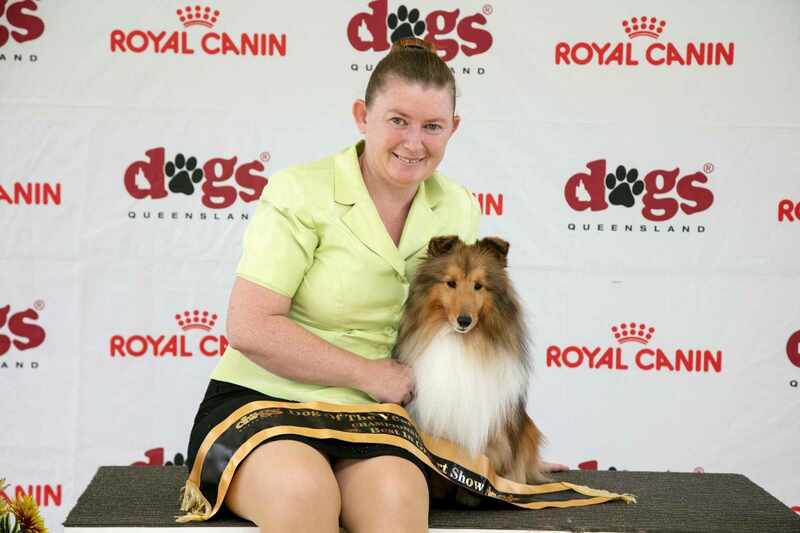 Hello I have been using Rose-Hip Vital on one of my champion Shetland sheepdogs for the last 3 months and would like to say what a massive improvement it has made on him. He was hit by car in September and 2 weeks after being hit his hip popped out. He had operation to put his hip back. He has been on Rose-Hip since then and happy to say that with in 8 weeks of being hit he was back in the show ring winning and 9 weeks after he won his first Best in show with a entry of over 800 dogs. I am so impressed with your product and have been recommending it to everyone. Our baby boy love’s it, we tried all meds that his vet prescribe and NONE OF THOSE MEDS MADE HIS LIMP BETTER OR GO AWAY, AFTER TRYING ROSE-HIP VITAL FOR THE VERY FIRST TIME, MADE A HUGE DIFFERENCE IN OUR BABY BOY LIFE, LIMP GONE, HIS BACK TO THE WAY HE USED TO BEFOR US ROSE-HIP VITAL IS A MIRACLE. 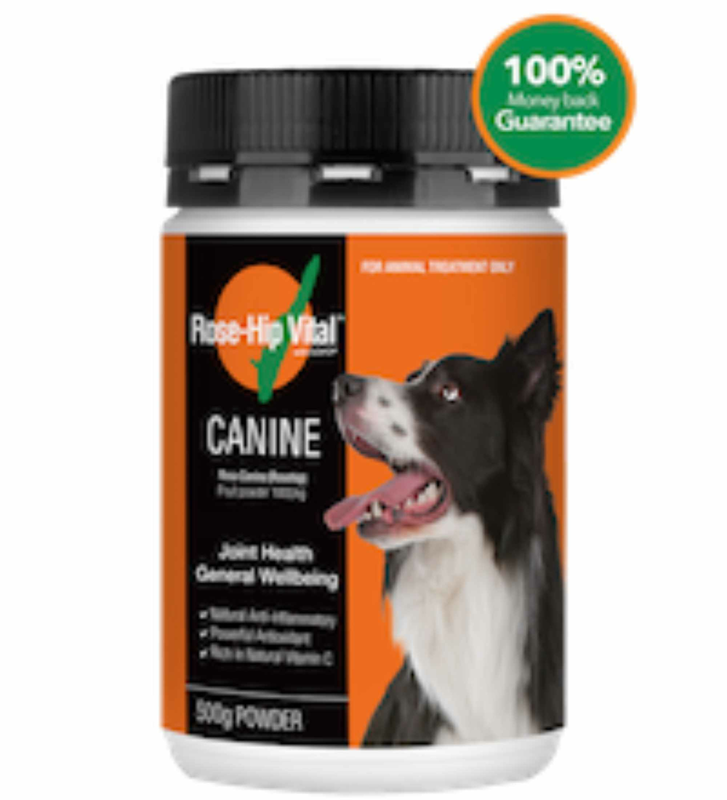 I WELL DEFINITELY RECOMMEND ROSE-HIP VITAL CANINE TO ALL PET PARENTS OUT THERE. IT’S THE BEST. Thanks, he loves Rose-Hip Vital. Bcoz of Rose-Hip Vital his back leg limp that’s been a problem for us is finally better, we were so close to go through surgery for his leg, has been on medication for such a long time and none of it work. UNTIL WE TRY ROSE-HIP, ITS MIRACLE FOR US, MADE our boy better and more energetic and healthy. Can’t ask for a better miracle than this. I also try Rose-Hip Vital capsule for myself, bcoz of my lower back problem, I have been on medication from 2007 till December of 2017, been on higher dosage of prescribe painkillers and back injection every 3 months, and none of those treatment helps me at all. Until doctor suggest that the next alternative treatment is surgery, but I said no, there is no way I’m going to let them cut me open, until after doing research about Rose-Hip Vital for my dog, I also found out that there is also Rose-Hip Vital for humans, at first I only order 1 for our dog to try to see if it really works, and when I start seeing the result, I try Rose-Hip Vital for myself as well to see if it works for me, and yes after 10 years or so of excruciating back pain all the way to my right leg. I CAN HONESTLY SAY WITHOUT ANY DOUBTS OR WHAT SO EVER, ROSE-HIP VITAL MADE A BIG DEFERENCE IN MY LIFE, MORE THAN 10 YEARS OF PAIN, CANT GET UP SOMETIMES WITHOUT TAKING ANY PAINKILLERS, CANT EVEN BEND TO PICK SOMETHING UP ON THE FLOOR, I CANT EVEN CARRY 2L OF BOTTLE OF MILK COZ OF SOOO MUCH PAIN THAT I SUFFER, BUT AFTER TAKING ROSE-HIP VITAL, ITS MIRACLE, I CAN BEND, CARRY OUR DOG, I CAN DO PHYSICAL WORK THAT I CANT DO BEFORE, I FEEL NO MORE PAIN, and since taking Rose-Hip Vital, I have not touch any of my painkillers, my back is perfect. I don’t know how to describe it but it’s just MIRACLE, FOR THOSE WHO HAVE A VERY BAD LOWER BACK PROBLEM, I DEFINITELY RECOMMEND THAT U TRY ROSE-HIP VITAL .FOR US WE ARE NOW ROSE-HIP VITAL FOR LIFE AS LONG AS THERE IS ROSE-HIP VITAL WERE GOOD FOR IT. 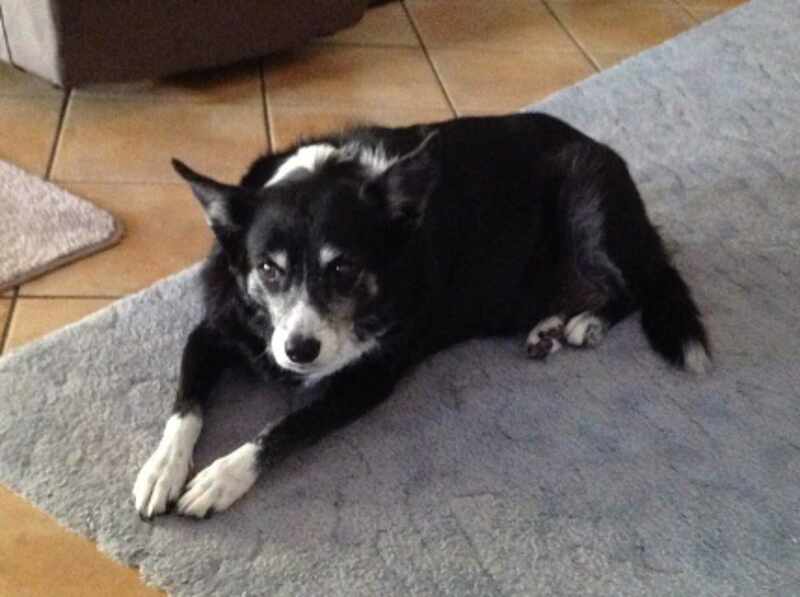 I am a very lucky 12 year old Kelpie girl who lives in Geelong, Victoria. I had a very serious accident about 10 months ago (August 2014). 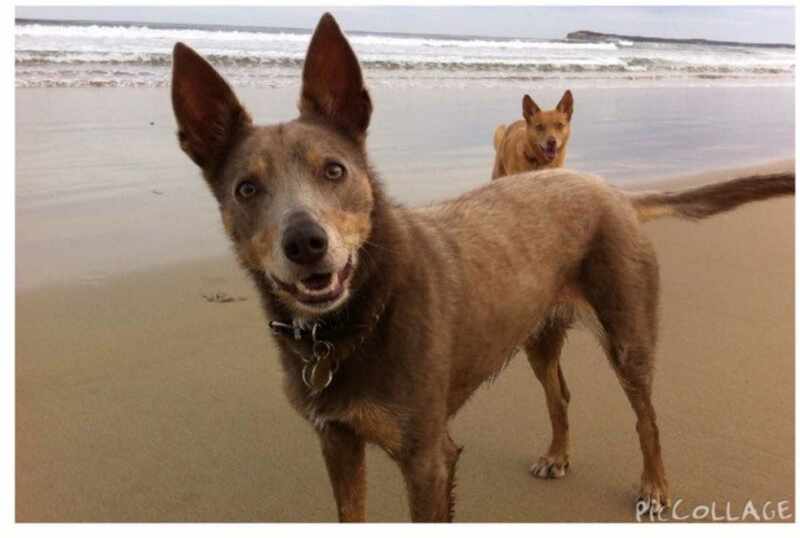 My family took me to the park for a run with my sister Daisie who is also a Kelpie (now 9 years old). Daisie and I were having a sniff around the trees when I decided it was a good idea to run ahead. All of a sudden, I saw a wooden fence getting closer by the second, so I leaped off the ground to clear the fence but I had jumped too soon. I don’t remember much, but I do know my family picked me up and rushed me to the emergency vet. My sister Daisie was very worried about me as she sat on the back seat of the car looking at me. At the emergency vet I tried to walk but kept on falling over. They let me try and as much as I could by myself to see if I had damaged my spine. I’m a tough old bugger so I got up and staggered around for a while, the vet checked me over and said I had lots of swelling in my back. I was in lots of pain so they gave me an injection and said I had to be under close watch for at least a week. I went home and slept in a crate, I felt very safe in there. I think Daisie was jealous of my new bed. I went to see my own Dr Fiona the next day, she did X-rays to confirm there was no spinal damage. My family were very relieved and Diasie was pretty happy too. While I was in my new bed (the crate) for a week my Mum had been reading about Rise-Hip Vital on social media, she though it would help me heal because nothing was more vital than my health. I started taking it almost immediately and have made an incredible recovery. I have taken Rose-Hip Vital every day since that awful day in August last year. I know the anti-inflamatory properties of Rose-Hip Vital helped me get back up, even though I do walk a bit different to Daisie these day. My Mum said I have to keep having the powder on my food now to help my arthritis, she’s right ya know. Here I am at one of our favourite beaches on The Bellarine. 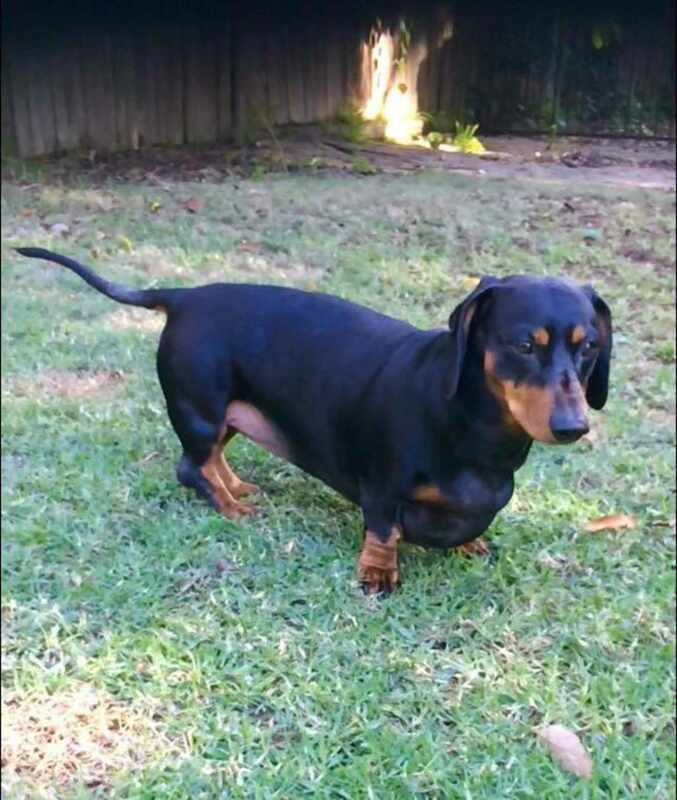 I started using Rose hip vital on my dachshund Daisy, after she came down with Stage 5 IVDD. After a week of her being on this product, she had more energy. Since then, I have continued to give her the 2 doses a day while she is recovering and doing hydro sessions. I couldn’t be happier with this product. Knowing that it’s natural makes it even better. I have attached a photo of Daisy 15 weeks after her operation. She’s able to stand now and can even manage to take a few steps. Hi my name is Jack. I’m a 4yro Dachshund. Middle of last year, mum took me to the vet as although I’m a little lazy, mum said somethings not right as I would Yelp sometimes for no reason and the yelping was becoming more frequent. So off to the Vet we went. Upon a examination, the Vet told mum that I had early onset Arthritis in my lower back. He gave us some pricey medication to put in my dinner for a few days after I yelped and to have few quiet days. Mum was like there needs to be something that is Natural and that I could take an have it daily as a preventative. So she started asking fellow Dachshund parents. So mum googled it and purchased a small container to see if it would work. Within the 2 week period that it says you will start to notice a change and Mum did. Ive now been taking Rose-Hip Vital for about 5 months and Mum has suggested to a few people and been telling them about how this has worked for me. Also Mum said to say the Service at your Stand at the Melb Dog lovers show was Fantastic, she traveled down from NSW to help out My Dachshund Online at their stall. 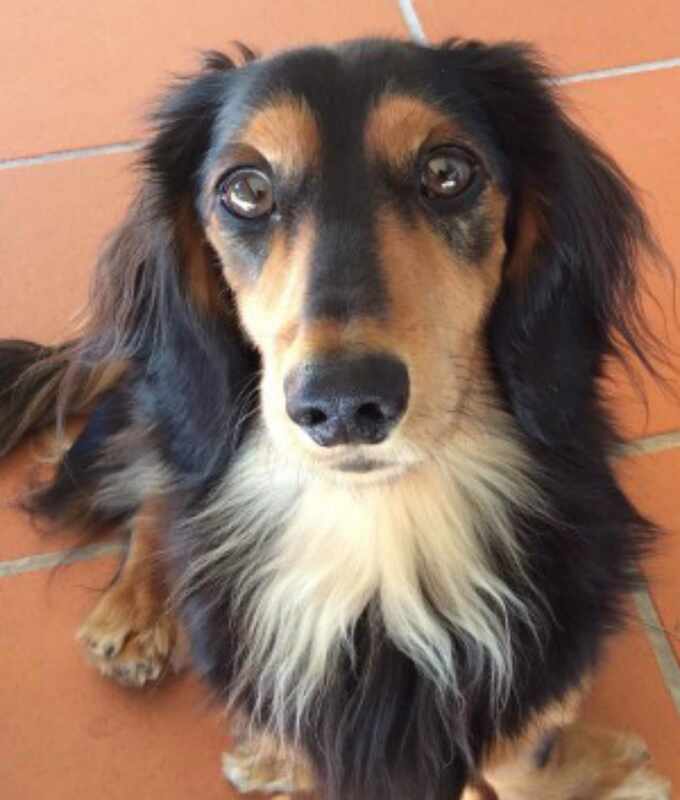 This is Denton, my miniature long haired dachshund. 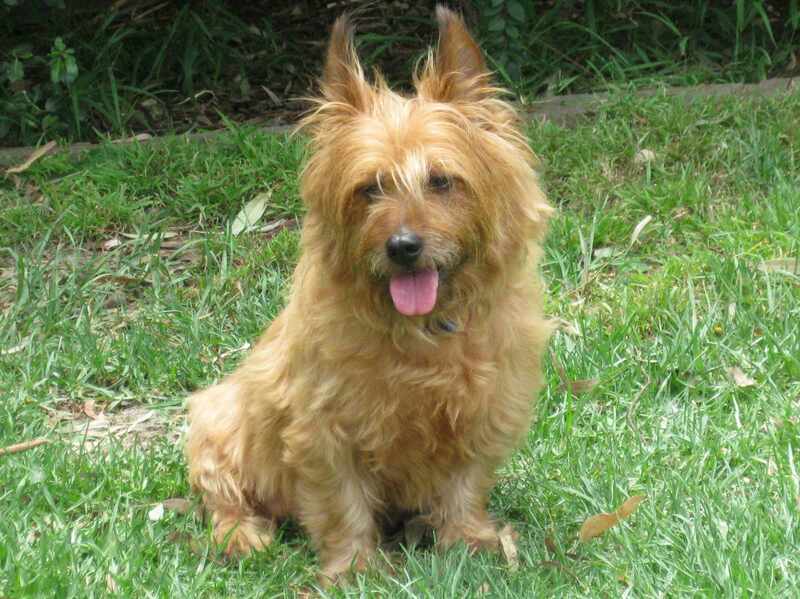 The day following his 13th birthday last year, I woke to find him paralysed. He was diagnosed with common dachshund disk disease called IVDD. Surgery was not an option due to his age, so the decision was made to treat him conservatively. I was advised to crate rest him for six weeks in the hope he may regain sensation enough to walk again whilst introducing him to a number of holistic/natural therapies. Failing this, he was going to need doggy wheels. 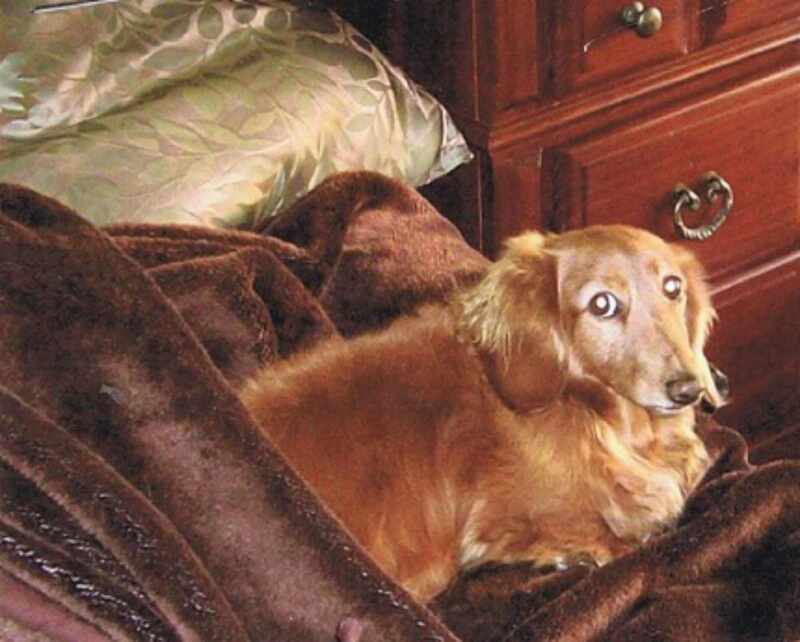 The second day following his paralysis I was telephoned by a friend who is a breeder and lover of dachshunds. She told me to go straight out and buy a bottle of Rose-Hip Vital Canine and load dose him for at least three weeks followed by a maintenance dose for the rest of his life. I had nothing to lose. Denton regained sensation in his legs three weeks later and was walking albeit wobbly at four. We do now live a ‘new normal’, no more jumping; running in the dunes on the beach; and all the things that most likely caused his spine to deteriorate. A few months ago, I ran out of my supply of RHVC for three weeks as I was waiting for it to come on special at my local Pet Store. After a week or so I noticed a difference in him, he looked stiff and started to walk with a wobble. We visited the vet where it was felt it was due to age and arthritis setting in. On my way home, I stopped and purchased another bottle of RHVC as I knew this was the only thing I had changed in his diet and routine. I once again load dosed for three weeks and after one week, he was back to his old self! Thank you Rose-Hip Vital Canine, you have most certainly given Denton a new lease on life. 12 months have now passed and he turns 14 in a few days. He is now a happy and healthy senior citizen who thinks he is 4 not 14! Ps: I also have a nearly 3 year old called Morrison, I also pop some RHVC into his daily meal. He has a lovely shiny coat, bright eyes and looks great. 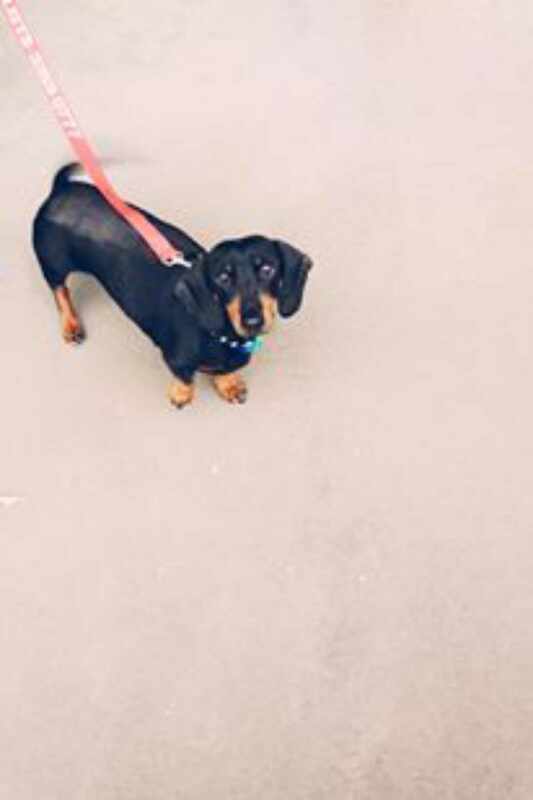 Please find testimonial for the treatment with Rose-Hip Vital Canine used on our miniature smooth haired dachshund, Jackson. Almost 12 months ago we discovered Jackson had gone down in the back. Upon veterinary advise it was suggested that the dog be put down. Not having any part of this, we asked if the dog could be given Vitamin C injections.He was administered 2 injections over the next 2 days. We then took the dog home and confined him, giving him large doses of Ester C and physio daily. Approximately 2 months after we re-visited the vet and he was surprised of his progress. Having learnt of Rose-hip Vital Canine, a friend asked if we would like to trial Jackson on the powder on behalf of the Dachshund Club of Q’ld. 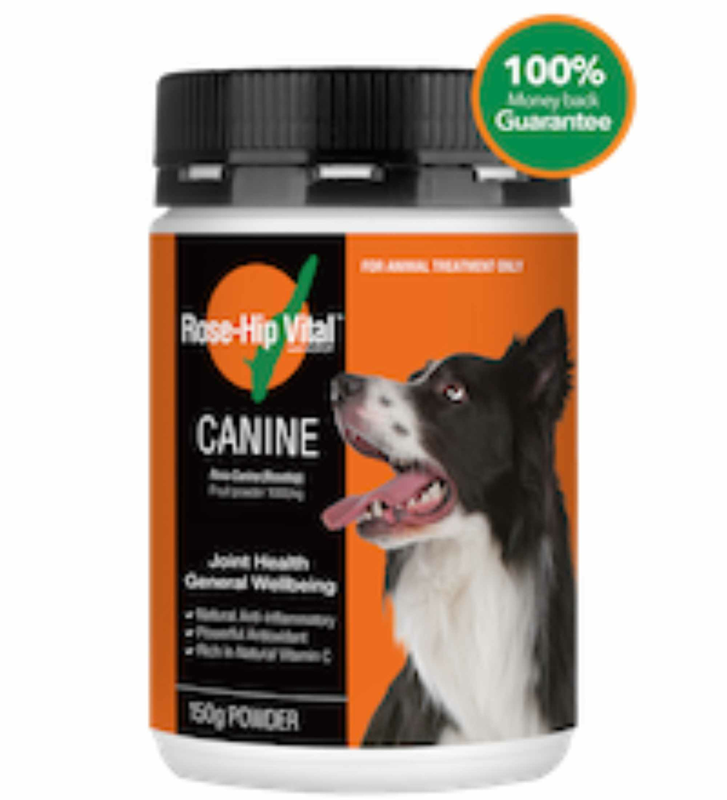 Having used Rose-Hip Vital Canine for the past month, we have noticed huge improvements in our dog, Jackson. He appears to be much stronger in the injured area of his back, his energy levels have vastly improved as well as his agility levels. Since being on the Rose-Hip Vital , he now really enjoys running and playing with other dachies. This is something that he hasn’t done since injuring his back. 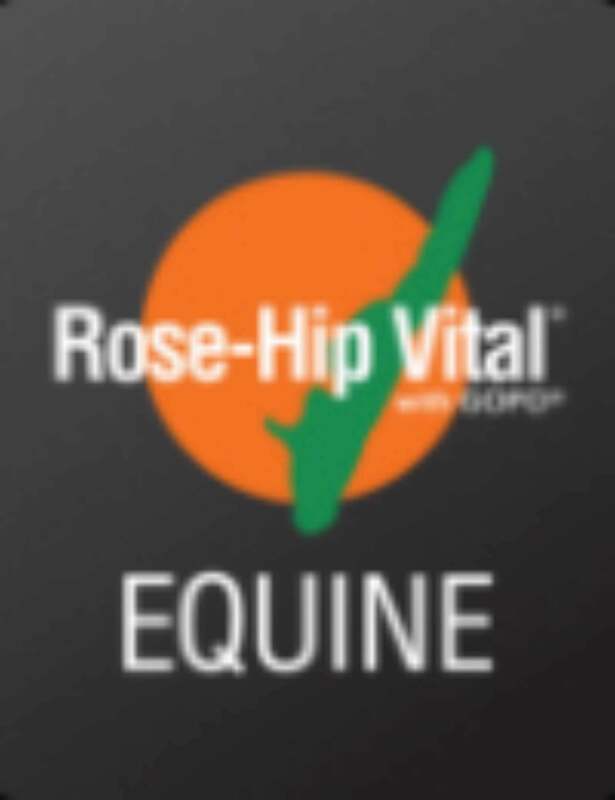 We will continue to use Rose-Hip Vital on Jackson and would recommend this product to others who have or may encounter similar problems to that of our boy ‘Jackson’. My little 10yo dog is doing splendidly on his maintenance dose, he can now jump into the Territory quite effortlessly, something which used to take him several goes at before he struggled in eventually. He is moving much better behind and eager to leap out of bed and go for a walk. Angus, who will be 10 in December, developed skin problems after a bad reaction to a heartworm injection about 5 years ago. He mainly had itchy feet and legs but two years ago a flea plague caused him to react all over and scratch out great chunks of his coat in a matter of days. We got rid of the fleas but the itch continued so he was put on cortisone. This eased the itch but caused a 5 kg weight gain, further coat loss and ongoing digestive problems. 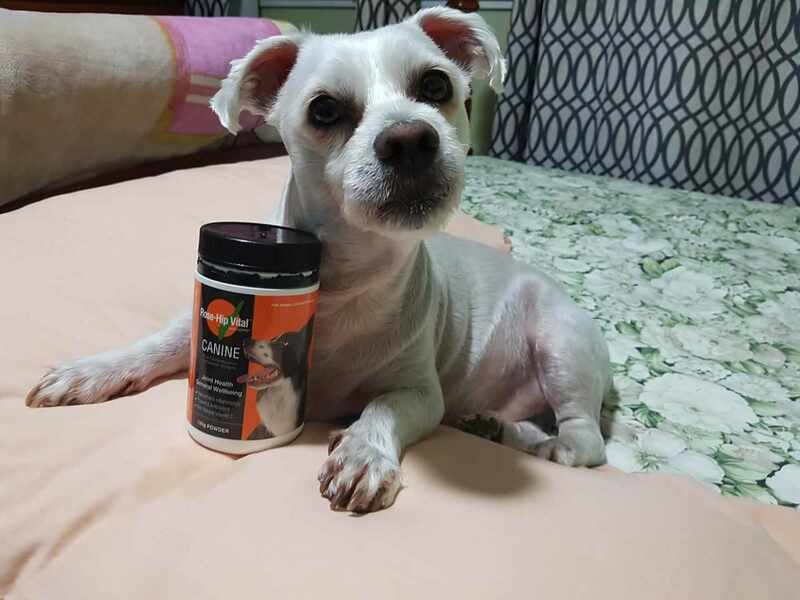 Two years of treatment with Traditional Chinese Medicine has seen his skin and immune system return to normal at last but his coat was slow to come back and the digestive problems persisted. He was also suffering some back pain from a fall and combined with the weight gain was not moving much faster than a walk. I started him on RHCV in Feb this year and the first obvious benefit within days, was a normal digestive system. As time has gone on he has grown a magnificent coat and become active enough to finally shed the extra weight. He is now happy, active and healthy again. Hi there! Just wanted to share some feedback. My purebred standard dachshund had major surgery back in March (ruptured disc). He’s been recovering well but has been walking around with a hump in his back due to pain. I purchased some RHVC for him when you sent out the discounted offer at the end of June. He’s been on the supplement for 4 weeks or so now and the improvement in his back hump has been dramatic! The hump has reduced significantly and because of this, he’s more comfortable, spritely and happy. So, I just want to say a big thank you! I’ll definitely be buying more soon! 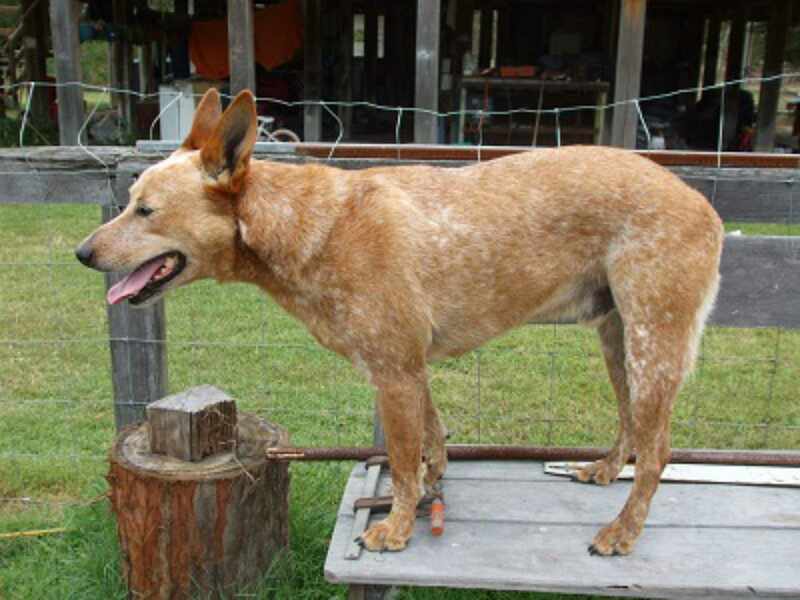 What an amazing difference rosehip vital has made to out 9 year old red cattle dog, Wally. 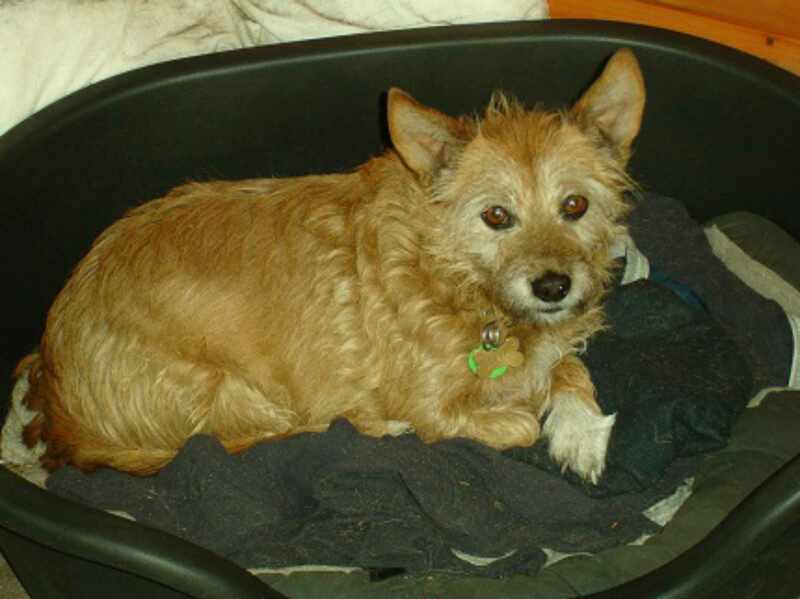 Wally has a history of back injury but thanks to rosehip vital he is now enjoying a new lease on life. Wally is more active as he is moving a lot easier. 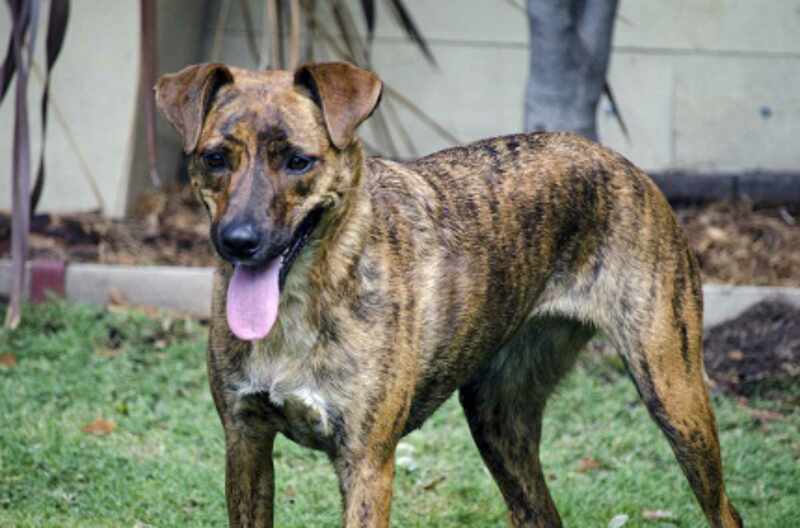 With regards to my dog she is a very active 6 y.o Staffy x German Shorthaired pointer and over the last year I have noticed that her stifles creak when she drops but more concerning was the cracking she had with lateral movement in her lumbar spine. This didn’t stop her doing anything, but I reduced her activity to try and minimise the impact on her vertebra and stifles. Within the 3 weeks of loading her up on Rose-Hip Vital Canine I noticed that her stifles did not click and her lateral movement along the vertebrae did not crack either. Now that it has been 6 weeks, rarely does either region make noise during movement. My hope is that with continued use I can prevent further joint damage and in conjunction with canine myofunctional therapy hopefully keep potential joint conditions at bay for the duration of her life. I have also noticed a vast improvement in her coat. I usually bath her in colloidal oatmeal to keep her coat soft and shiny - but I haven’t bathed her in 4 months (time just gets away) and her coat is just as shiny and soft as if I had bathed her yesterday. I am the lucky owner of the best two Cavoodles in the world! However, such good fortune brought with it back problems and the desire to jump off great heights and break bones (don’t ask!). I would dread winter every year, as the dogs would let out squeals of pain. I contacted The Rosehip Specialists about its canine variant and was advised to give them 1/2 a spoonful each day with their dinner. I started and thought this will be a great waste of time. Recently we had six nights of temperature of -5 degrees and both my fur babies have been jumping up onto the bed and climbing steps with no pain. It’s just amazing! 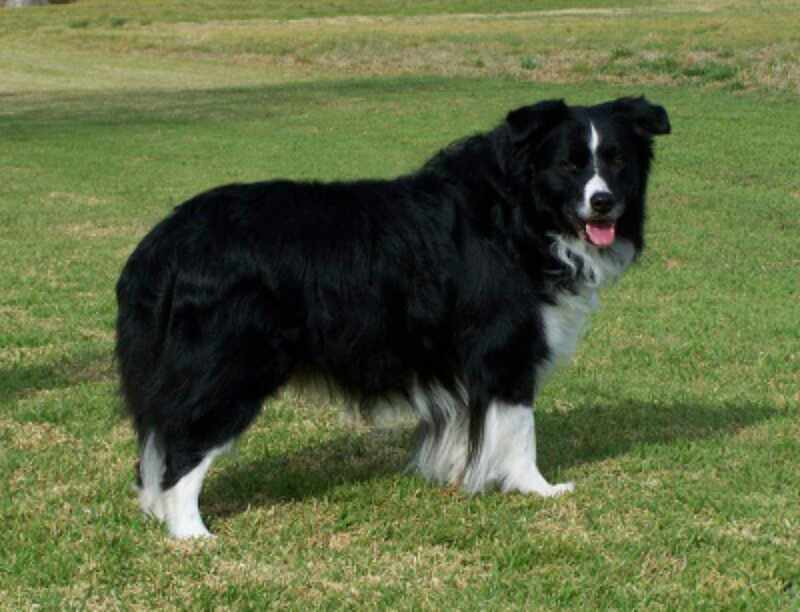 Their ability to do what dogs do has been restored along with their vitality for life. Thank you for such a great product! I am writing this letter to congratulate you on your wonderful product, Rose-Hip Vital Canine . I have a 10 year old Dachshund named Kate who has had a bad back for the past several years. She has regular trips to the dog chiropractor, but I am still very cautious with her. Over the past week, I have noticed an incredible difference after I have been dosing her with your wonderful product. Kate now runs instead of waddles, she now manages to get upon the couch which she has been unable to do so for the past 4 years. She is also making her way up the stairs with great ease. I thank you sincerely for your wonderful product and I look forward to continuing use. I rescued Susie 11 years ago which makes her about 13 now. Susie didn’t have the best start to life but she soon realized she was safe with me. I had Susie on Joint Guard, she also had Cartrophen and I had her on fish oil. As time went buy she would always be stiff to get up and move around. One day when I came home from shopping, I found Susie unable to walk. I had to carry her up to the vet, and after extensive tests and X-rays, we found out she has a disc problem, which involves her nerves. She was put on steroids in which I had to give her every second or third day and was told she would need them every day. Susie didn’t tolerate the drugs too well but I was told that was the only treatment for her . My daughter Pauline told me to ring the Rose-Hip Vital team to see if it would help with her nerve problem and to my amazement what a difference it has made with my girl. Before starting Rose-Hip Vital Canine, I was battling to walk her 200 metres and she couldn’t sit in the car in which she always loved to do, now there is no stopping her. Thank god we found out about this wonderful product!